Classic Golf Visor with 3" tall crown. Royal Blue or Red with metal loop adjustable strap. 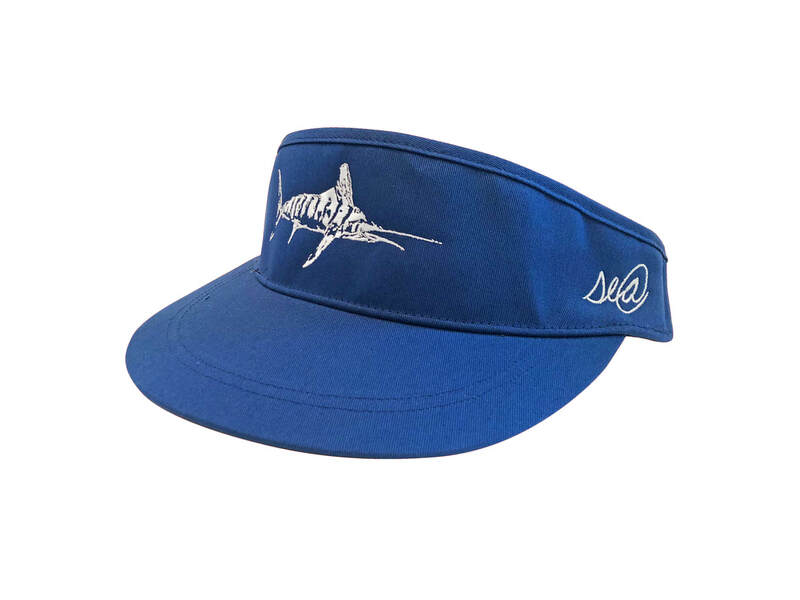 Marlin embroidered on front in white. se@ embroidered on left side in white.